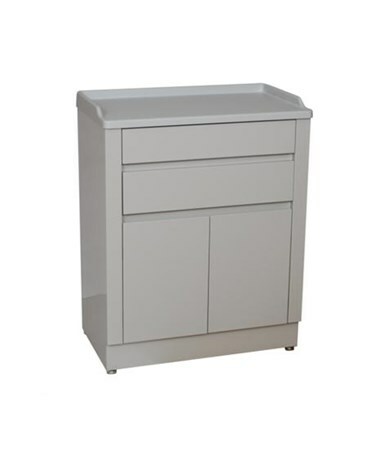 UMF's 6120 Treatment and Supply Cabinet is an attractive, sturdy modular treatment cabinet designed to provide valuable storage and workspace for a variety of applications. Featuring 20 gauge steel construction and a Kydex top with rail, this cabinet is built to withstand heavy use for many years. 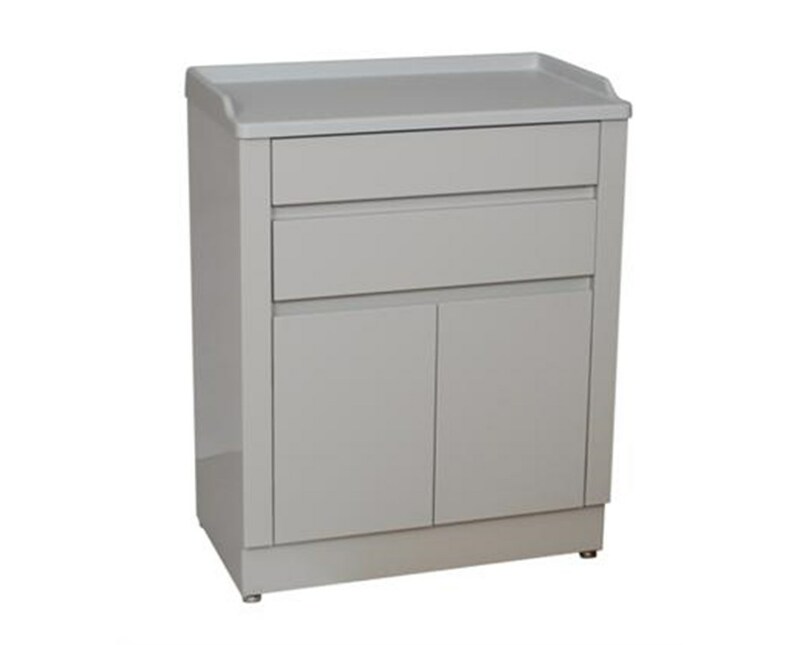 The short form of this cabinet contains two drawers and two doors, with a removable, non-adjustable metal shelf behind the doors providing valuable organization to the compartment. Both doors use heavy duty, concealed door hinges for reliable, smooth opening and closing. Adjustable leveling glides ensure that the drawer will always operate correctly. The cabinet measures 27" H x 33.5" W x 16.25" D. The interchangeable door and drawer fronts come in 8 colors. View the available color chart and note your choice in the Special Instructions field during checkout. 33.5" H x 27" W x 16.25"